As the 2019 Masters Tournament week draws near, I cannot help but think how much the Augusta National Golf Club has been a focal point for me, each April, as springtime arrives. I would like to share my Augusta National and Masters Tournament journey. The year 1978 was the start of having the opportunity to attend 40 consecutive Masters, first as a part of the “Turf Advisory Team,” Official Observer – as was designated on my Masters Tournament badge, and as a Masters Golf Course Tournament Support volunteer. After 30 years of service, I retired in 2008 from “Tournament Support” and was rewarded with two “Patrons Badges” for the Masters Tournament for as long as I live. For the past ten years, have been attending the Masters as a spectator, telling Masters stories and enjoying the tournament from outside the ropes. Traveling to Augusta each year to attend the Masters makes me feel like Augusta is my home, at least for one week of the year. That special week is always the first full week of April, when the Masters Tournament is scheduled. After all of this time, since the mid 1970’s, I feel I know the golf course better than any other I have played, worked on, or been associated with. I have learned the nuances of the golf course and have implanted in my mind dozens of Masters stories of times past, and over the years have developed a deep respect for the history and tradition of the Augusta National Golf Club and The Masters Golf Tournament. I have an enduring appreciation for the people I have met along the way who have played a role in making the golf course and the Masters Tournament so admired around the world. It was 1973 when I first attended the Masters not only to see the golf tournament but also to visit with my friend Bruce Crampton, the Australian golf pro who had the distinction of winning the Australian Open at age 21. I first met Bruce at the Doral Open while I was a college student in Miami in 1966. A friendship developed and I was able to caddy for Bruce part time during my college years, both at the Doral Open in Florida and the Dow Jones PGA tour event at Upper Montclair, New Jersey. One of the highlights of the 1973 Masters was when Bruce Crampton introduced me to Mr. Clifford Roberts, Chairman of the Augusta National Golf Club, and co-founder of the Club. It was gracious to be included in the conversation with Bruce and Mr. Roberts. I already knew that in the early 1930’s Mr. Roberts and Robert Tyre Jones (or Bobby Jones, as he was known to the golfing public), were the co-founders of the Augusta National Golf Club. Those who know golfing history place Jones as one of the greatest golfers of all time, and the one who won the “Grand Slam” of golf in 1930 at age 28, then retired from competitive golf. One of the lures for me to join Loft Seed was at the insistence of Peter Loft, Chairman of Loft Seed, that I return to college at Rutgers University and attain my PhD graduate degree, studying under the direction of Dr. C. Reed Funk, the world famous Rutgers turfgrass breeder. With Loft’s headquarters located only fifteen minutes from the New Brunswick, New Jersey Rutgers campus, this provided me the opportunity to work at Loft’s full time, direct Loft’s turf breeding program, and continue on for a PhD degree in turfgrass breeding at Rutgers. From 1979 – 1983 it was a full time position managing Loft’s R&D department, while at the same time completing my class work and field research at Rutgers with Dr. Funk. This was an extremely busy time in my life, and I remember long days at Loft’s and into the night taking classes and studying. My graduate school endeavors at Rutgers culminated in 1983, with a PhD degree in turfgrass breeding. Over the next twenty five years my focus was breeding dozens of improved turf grasses -- one we named “Palmer perennial ryegrass” after Arnold Palmer. Palmer rye was first used on the Augusta National in 1983 and was revered for many years for grassing the golf course fairways, tees, and roughs in preparation for golfing season and the annual Masters tournament. 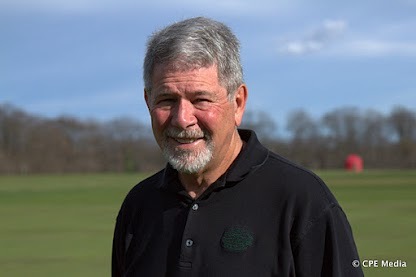 As the head of R&D for Loft’s, starting in 1978 I was invited to join the “Turf Advisory Team” at the Augusta National by the club manager Phil Wahl. This was primarily due to the fact that Loft’s was the turfgrass seed supplier to the Augusta National and I was Loft’s director of R&D. Shortly after I was asked to join the advisory team, it was expanded to include Dr. Tim Bowyer, who at the time was a turf pathologist at the University of Georgia. This was in addition to Dr. Joe Duich, of Penn State University, Dr. Coleman Ward, a turf specialist from Mississippi State University, and Palmer Maples, a prominent golf course superintendent from North Carolina. During the late 1970’s, in the world of improving turf conditions and tournament planning, there were significant opportunities for enhancing playing conditions. This was when new and better turf equipment was available for purchase, new varieties of grass seed were offered, and there were significant improvements with irrigation systems. When Billy Fuller arrived as the next golf course superintendent in the early 1980’s, additional significant improvements were instituted into the agronomic plan for the golf course. By the time Paul Latshaw, Sr. arrived as the course superintendent in the mid 1980’s the conditions of the golf course for the members and the Masters Tournament had been dramatically improved. During the tenures of Billy Fuller and Paul Latshaw, Sr. things only got better and better, both in day-to-day course preparation and for the members and for Tournament planning. It was 1986 when I discussed with Paul Latshaw that we needed to investigate adding “supplemental lighting” to the 12th green, as the tall pines in back of the green provided excessive shading during the short days of the year, making it harder to maintain a quality putting surface during the winter season. When Marsh Benson took over from Paul Latshaw as the golf course superintendent, he followed through with the “supplemental lighting” suggestions for green number twelve and consulted with GE to provide the “grow lamps” that are still used today. The grow lamps are of the correct wavelength for photosynthesis to take place in plants. During the fall and winter months the grow lamps are used, as needed, late in the day after play, as the lights are placed over the surface of the green, rolled onto the green, positioned approximately six feet about the surface of the green. Each platform, with grow lamps, have rubber tires – each stand would be rolled on the green late afternoon / early evening and off the green before play started the next morning. The grow lamp experiment has been helpful, allowing the turf on the twelfth green to have sufficient light during the short days that occur during the winter months. At some point in the 1990’s I transitioned to working the Masters Tournament week on the golf course assisting with tournament preparations. This was a Sunday to Sunday endeavor along with approximately one hundred seasoned volunteers who supported the regular full time golf course maintenance staff. The “volunteers” assisted with mowing, cup changing, raking bunkers, and all other activities that must be accomplished each day to present the course to the world during Masters Week. The “Tournament Support Volunteers,” as they are known, consist of a group of very talented golf course superintendents from around the country, University turf specialists, equipment supplier technical staff, and others who have a vast range of golf tournament experience. Each of the volunteers take one week out of their busy work schedule to assist the regular maintenance staff in making the Augusta National the best it can be during the tournament week. ﻿One perk to being a “Tournament Support Volunteer” was having the opportunity of being invited to play the Augusta National Golf Club each year, at the end of May, after the course closed to the membership for the summer. ﻿As I get ready to pack for visiting Augusta the first week of April, 2019, I cannot help but reflect on my 41 consecutive Masters tournaments, 42 in total counting the 1973 Masters when Bruce Crampton introduced me to Mr. Clifford Roberts, Chairman of Augusta National. I have great admiration for Brad Owen, who has been the golf course superintendent for many years, and Marsh Benson, recently retired after the 2015 Masters, who was elevated from the position as course superintendent to an executive long range planning position at the club. Both are good friends who I respect and greatly admire. It was 1973 when I first attended the Masters not only to see the golf tournament but also to visit with my friend Bruce Crampton, the Australian golf pro who had the distinction of winning the Australian Open at age 21. I first met Bruce at the Doral Open while I was a college student in Miami in 1966. One of the highlights of the 1973 Masters was when Bruce Crampton introduced me to Mr. Clifford Roberts, Chairman of the Augusta National Golf Club, and co-founder of the Club. It was gracious to be included in the conversation with Bruce and Mr. Roberts. I already knew that in the early 1930’s Mr. Roberts and Robert Tyre Jones (or Bobby Jones, as he was known to the golfing public), were the co-founders of the Augusta National Golf Club. 1978 started a 40 year consecutive run of attending the Masters Tournament at the Augusta National Golf Club. Golf course maintenance volunteer during the Masters week for thirty years, 1978 - 2008.